Today’s photo challenge at the Daily Post is to show what “reward” means to us. It turns out that I’ve taken a few photos over the course of the last few weeks that exemplify the term in various ways. Looking back through them has made me realize how easily I forget the simple pleasures encountered every day. I tend to notice details, and love the little scenes captured on my walks through New Orleans (and elsewhere), but it would be nice to hold on to the feeling of discovering these vignettes in my heart, rather than having to be reminded by looking back over my Instagram page. I walk through the French Quarter every day, and often pass a little art gallery full of really cool/creepy art. 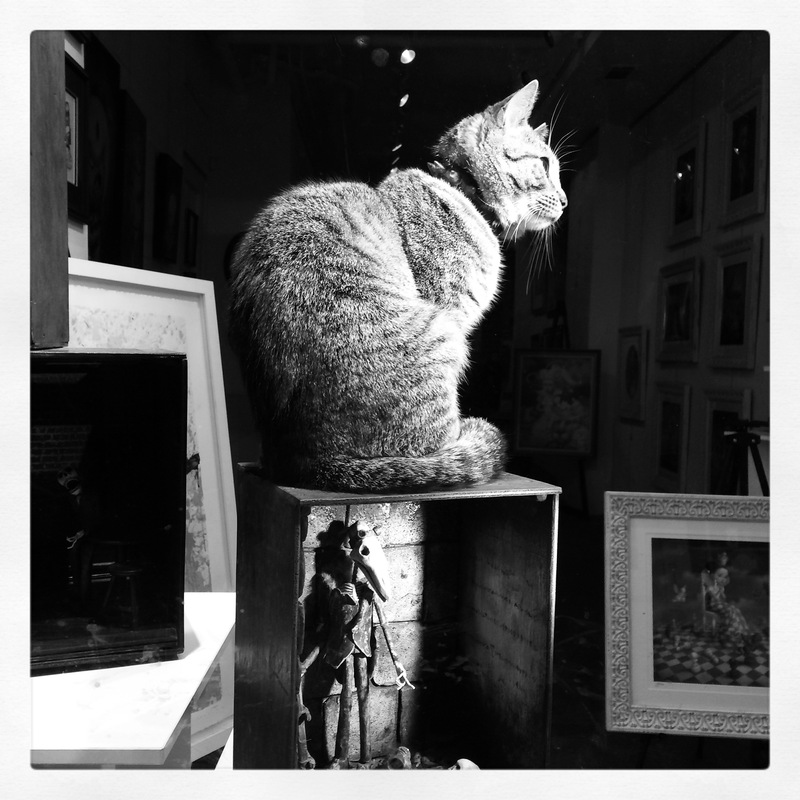 Every now and then there’s a cat sitting in the window, along with the artwork. Each time I pass, I look for the cat, and when I see her I’m always happy. It feels like a privilege, somehow; she’s so regal. The other part of the story that makes this an even better reward is that you can’t see it in this photo, but the cat’s other ear is docked at the tip. In New Orleans, when feral cats are part of the catch and release program (where they’re caught, spayed/neutered, then released), they get one ear docked. This tells me that this gorgeous girl was once living on the streets, but has since become the queen of her own art gallery. Pretty sweet rags to riches story. I love looking for good new graffiti, no matter what city I’m in. Thus far, my all-time favorite street art has been in Venice, but New Orleans’ scene isn’t too shabby. 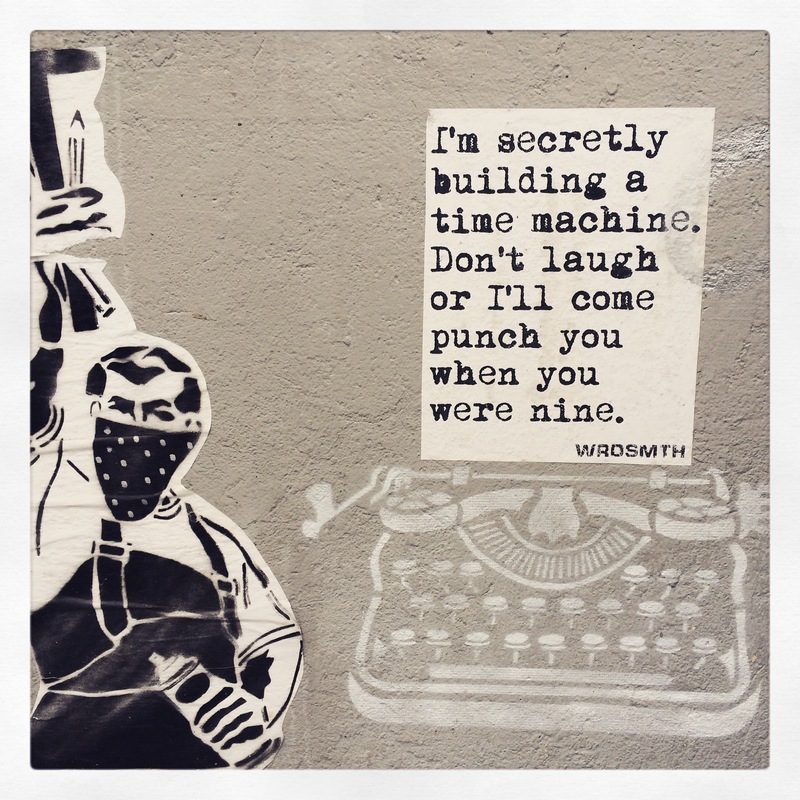 Our city attracts a lot of outside artists, including WRDSMTH, a Los Angeles-based writer/painter who’s been posting awesome stuff like this typewriter and message around town for awhile. This popped up in my neighborhood, and every time I look at it I end up laughing. So I guess that the reward is two-fold for this photo, as well. First finding it, then getting to laugh over and over. 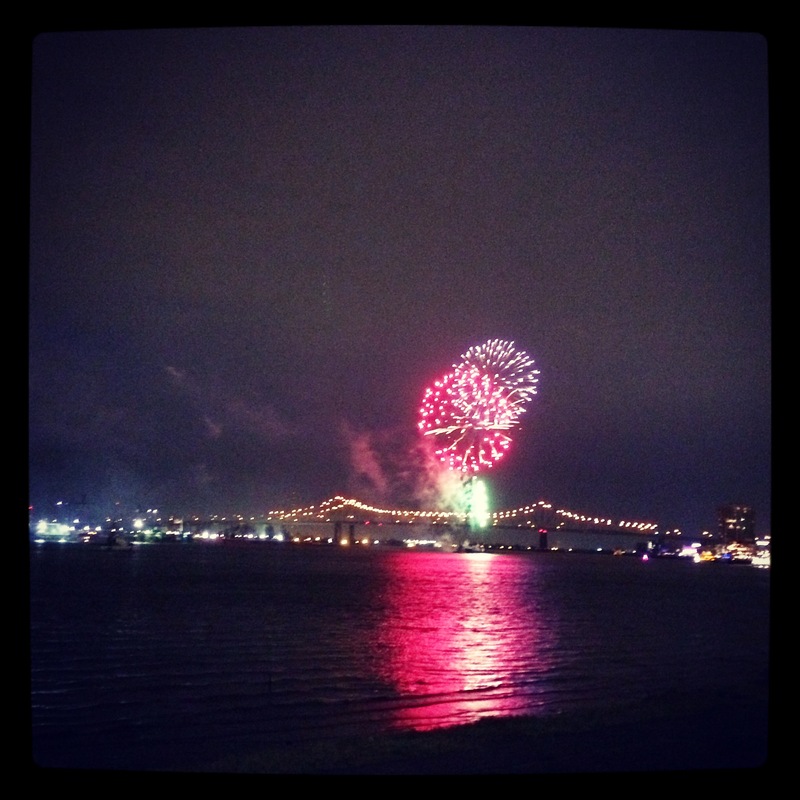 This shot was taken on Lundi Gras night (the night before Mardi Gras/Fat Tuesday), down by the Mississippi River. I was with friends, just hanging out, and we didn’t know that there were going to be fireworks. This was a great reward for me because I really hadn’t felt like leaving my house that day, despite (or maybe because of) the celebration that was going on. I adore fireworks, so getting to see them was like a little “thank you” from the Universe for just pushing myself to lighten up a bit and go have fun. 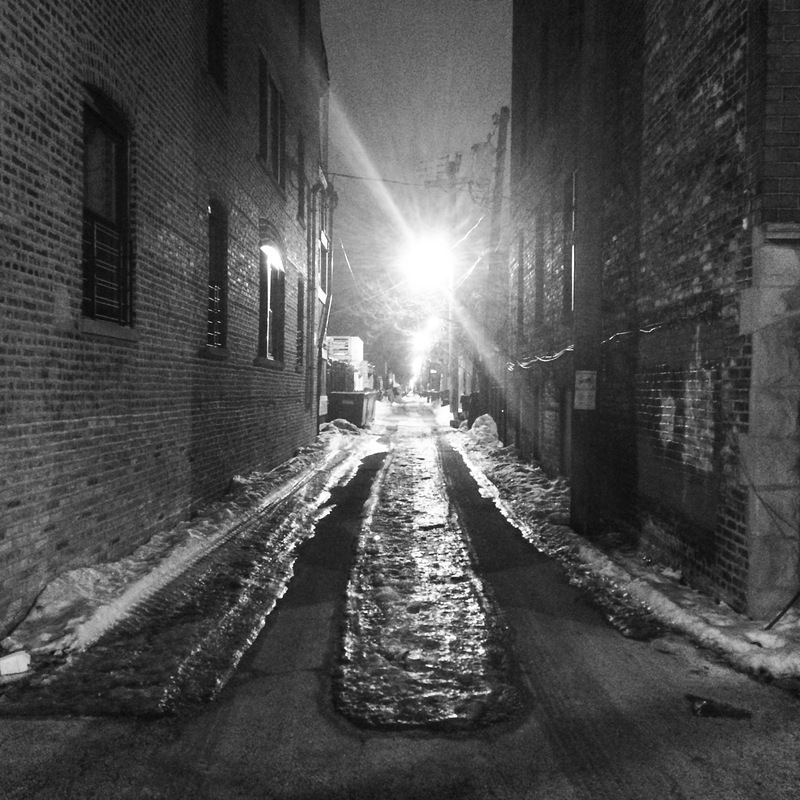 While in Chicago last week, I decided (quite stupidly) to walk from the restaurant where I’d just had dinner, all the way to the nearest movie theater. A distance of about a mile and a half isn’t bad in decent weather, but when it’s 10 degrees out and you’re not at all accustomed to that kind of cold, it’s just a crappy idea to try to do it on foot. But I did, and it all worked out just fine. Still got all of my digits. Bonus: it was beautiful and quiet out, didn’t meet very many people on the way, and every now and then a scene like this would present itself. This is the least exciting photo, but my favorite. 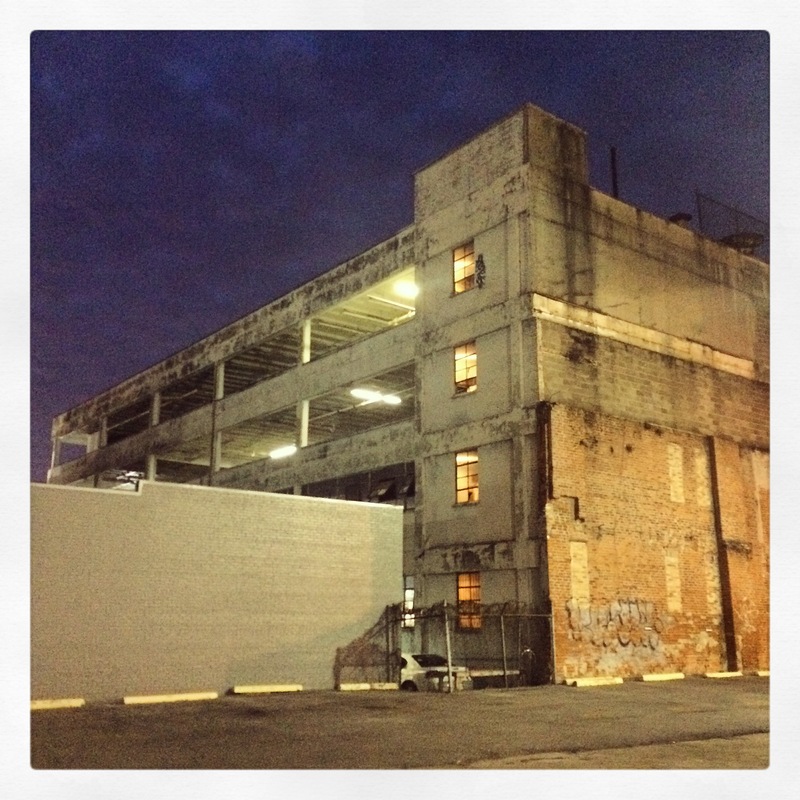 I took it last night; it’s the parking garage that sits behind my gym. I had a good workout, then left the gym to see that the parking garage was looking really nice with the contrast of streetlights and night sky. Sometimes I feel like being allowed to notice and appreciate beauty in such mundane things is its own reward. The fact that it showed up after a particularly good night of working out was just that much sweeter. Thank you! This was a fun prompt to answer. I love your variety of shots. I love the cat! And, I can appreciate the idea of finding beauty in the mundane, too. Thank you! I keep meaning to stop by the shop when they’re open and find out her name so I can say hi to her properly. She’s such a dainty little thing.